There are three main events each year for people interested in software products from Dassault Systèmes: COE Annual Conference (held in the spring), 3DExperience Forum (typically held in November), and SolidWorks World (held in late January or early February). The events have different content and target audiences, and since clients frequently ask us which conference they should attend, we thought we’d explain a little bit about them and give you three reasons why 3DEXPERIENCE Forum is worth attending. COE Annual Conference is run by the independent Dassault user group COE (CATIA Operators Exchange is the name, but the user group is for all Dassault brands). This event is heavily sponsored by Dassault, so there are plenty of marketing commercials for Dassault software, but the content is focused on the user community and can be very technical. SolidWorks World is run by Dassault Systèmes, and it is a bit like COE because it has a high level of focus on the technical details of SolidWorks software, but at the end of the day the event’s goal is to sell more SolidWorks software. Like SolidWorks World, 3DExperience Forum is also run by Dassault Systèmes, with additional sponsorship from Dassault partners. However, 3DExperience Forum covers all Dassault brands, not just SolidWorks products. 3DX Forum’s focus is definitely on giving the audience compelling reasons to buy more Dassault software, but it can also provide a lot of value to those attending (whether you’re an existing Dassault customer, shopping for PLM tools, or just observing the PLM software industry). It is important to note that 3DX Forum is targeted at strategists, managers, and executives more than at end-users. 1) Find out how customers are really using Dassault tools. In addition to the highly polished keynote speeches from marquis customers, there will be lots of smaller breakout sessions featuring customer solutions and opportunities for hallway chats and lunchtime conversations. Regardless of how you get the information, you can quickly collect a lot of interesting data points about what companies are really doing with Dassault software. For example, did you know that there are companies that have OEM’ed CATIA and are selling their own industry-specific CAD tool where CATIA is running as the engine behind it? This might not be right for your business, but ideas like this can be priceless. 2) Learn advanced product development techniques. 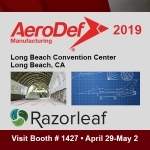 Most Razorleaf clients aren’t large OEMs like Boeing, Ford, and Lockheed. Big companies like these help drive the direction of Dassault software, based on what they feel are cutting-edge processes that give them a competitive edge in their markets. You can get a peek into these product development “secret weapons” by looking at what Dassault software does, and how it does it. 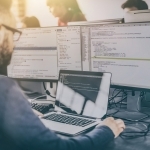 That doesn’t mean you have to buy Dassault software, but you might learn something that you want to adopt within the tools you already have. For example, have you considered how requirements management could speed up your NPD process if it was integrated with your BOMs and change processes? If you haven’t, have you considered why some of the big companies do this? Here’s one more to think about. Did you know Dassault has a CAD tool for Systems Engineering? Do you know what that is? As pervasive as Google search is these days, we’d all like to think that we can find anything we want with a quick peek at the Web. There are a lot of small vendors, products, and relatively unknown experts roaming around events like 3DExperience Forum that you may never find through Google. That reverse engineering solution for CATIA, that IP protection tool for SmarTeam, and that expert on visual manufacturing instructions are all things that could cross your path at the event – if you are there. And of course, if you’re looking to hire or be hired in this niche industry, you would be hard pressed to find a more concentrated gathering of the people that you want to talk with. One more thought about the opportunities you might uncover at the event is for SolidWorks users. Have you noticed the growing presence of Dassault at SolidWorks events? Ken Clayton (VP of Worldwide Sales, Professional Channel) is presenting at 3DX Forum, so the relationship is growing in both directions. Attending this event is one way to get a better understanding of what all of this means for the future of SolidWorks, and the opportunities that future might present. It’s going to cost you about $2,000 to participate in the event (between registration fees, airfare, hotel, meals, etc. ), so it might not be worth it to you and your company. Then again, you might find one new technique, add-on tool, or expert that can save your business tens of thousands of dollars. If improving your PLM toolset and product development capabilities aren’t strategic to your company right now, maybe you should wait and consider attending next year. But if improving product development is high on your business’ radar, 3DExperience Forum might just be worth the trip. If you’re attending, please contact us because we’d be happy to meet with you while you’re there. Part of the value in attending is networking, so please connect with us, and be on the lookout for our comments about the event on social media (#3DXForum).